By focusing on local and organic produce, we can curb global warming and air pollution, avoid toxic pesticides, support local farmers and enjoy fresh, tasty, high quality food. We’ve all heard the tainted food recalls: Building a relationship with a local grower or farmer means we know exactly where our foods came from. And, unlike meats and produce that are shipped to us from places unknown, local goods provide us with the opportunity to gather as a community. 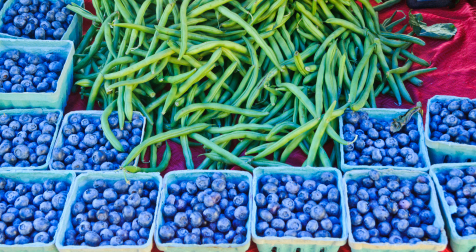 Not from Potomac….find a market in your area- Local Harvest. Nick raises and sells grass-fed beef directly from his home in Potomac. He also sells turkeys for Thanksgiving. They are privately owned and operated. DON’T FORGET TO GIVE BACK TO THE COMMUNITY. Here are a few local food banks and shelters that need community help.